The Teradata 2015 Global Data-Driven Marketing Survey found data-driven marketing is either embedded or strategic for 78 per cent of marketing teams today, up from 34 per cent year-on-year. Just three per cent of respondents said data marketing was not on their radar. According to the report, 43 per cent of marketers have fully integrated data across teams. Notably, an equal number said marketers now control more data than they did a year ago (43 per cent versus 32 per cent). Those marketers who do have direct access to their data were found to be further along in embedding a data-driven marketing solution into their regular processes. Achieving a more accurate decision was the biggest benefit of using data for 67 per cent of respondents, followed by faster decision making (59 per cent) and attaining a better business result (57 per cent). Ninety-two per cent also agreed integrating data across teams can improve customer service. The overwhelming reason for the data push is to achieve more targeted engagement with customers. Ninety per cent of those surveyed said making marketing individualised is a priority for their organisation, moving from just segmentation to personalisation on a one-to-one basis in real time. 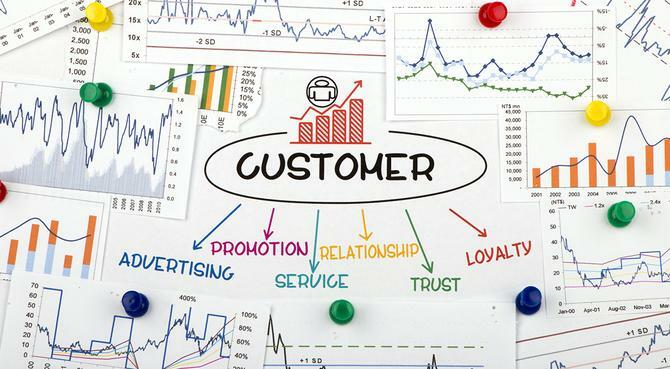 The five top types of data used to information marketing strategy are customer satisfaction data (48 per cent), customer service data (46 per cent), data usage and behaviour (42 per cent), customer engagement data (42 per cent) and device data (42 per cent). Eighty-three per cent of companies said they were also now able to take explicit action based on what they’ve learnt from gathered data. The Teradata report was based on a survey of 1506 marketers and communication executives, VPs and directors conducted by Forbes Insights globally in 2014. It follows on from a similar survey done in mid-2013. Despite the data push, the Teradata report again reflected the significant hurdles marketers still face in utilising data for cross-channel customer engagement. It also showed the lack of maturity around data as a business asset. For example, 50 per cent of respondents routinely apply data to engage with consumers, but 44 per cent admitted a lack of consistency in omni-channel marketing. More encouragingly, 83 per cent said they were taking an omni-channel approach to reaching customers. In addition, 80 per cent said silos within the marketing function prevented them from knowing how campaigns are performing across different channels. And 87 per cent agreed data was the most underutilised asset in marketing organisations. Other obstacles preventing marketing from becoming more data-driven are data security challenges (46 per cent), lack of funding (44 per cent), lack of consensus that data-driven marketing is important (36 per cent), lack of an appropriate CRM database (34 per cent) and lack of needed data within the department (29 per cent). Another concern is that only 39 per cent of organisations are capturing significant business benefits from acting on customer data. More worryingly, just 3 per cent of executives consider proving the effectiveness of marketing to be their priority. That’s despite the fact that 45 per cent fully leverage data to measure ROI, and 41 per cent believe the use of data-driven insights would have the most benefit in better allocating budgets for marketing activities. The good news is marketing and IT’s alignment was recognised as a pillar in better data utilisation. Eighty-four per cent of respondents agreed making marketing and IT strategic partners is vital, and 56 per cent said senior executives in these two teams collaborated ‘extremely well’ when it comes to sharing customer data. “It is clear from these survey results that the future of marketing is all about meeting the expectations of the individual consumer,” Teradata Marketing Applications Australia area director, Simon Bowker, said.